As a child I have always enjoyed checking the mailbox. I would get so excited to see a surprise letter or random card from a friend or relative and I have realized that since I have gotten older, not much has changed. I think I am the only person at the ripe ol’ age of 30 (cough, cough) who looks and waits with eagerness for the mail carrier to walk up on my porch at 3:30pm, and then starts to panic that he isn’t coming if I haven’t seen him by 4pm. I know! I know! I need a life, but I can’t help but love surprises–and when it comes to receiving mail, it is always full of surprises…I just never know what he is going bring. I will admit that sometimes I simply wish he would have just lost my mail due to an unexpected bill (usually this happened when doing infertility treatments and tests), but then there are those rare days when I get an unexpected card or gift from a friend. It’s those little surprises that keep me in eagerness and anticipation for the mail carrier, because those unexpected surprises from a loved one telling me they are thinking of me, love me, or are praying for me, can magically heal my hurts, make a bad day better, and give me more hope and strength to keep going. 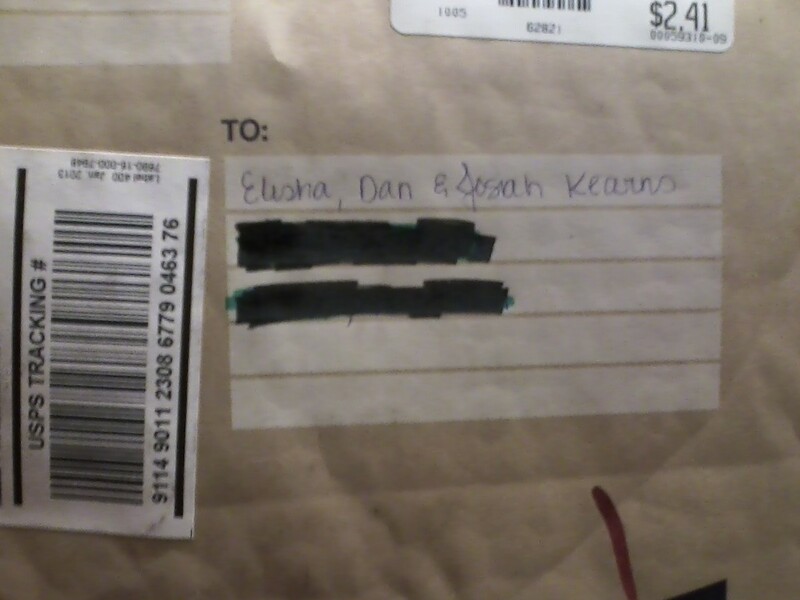 I experienced this first hand on Thursday when I checked the mail and found an unexpected package addressed to “Elisha, Dan and Josiah Kearns”. 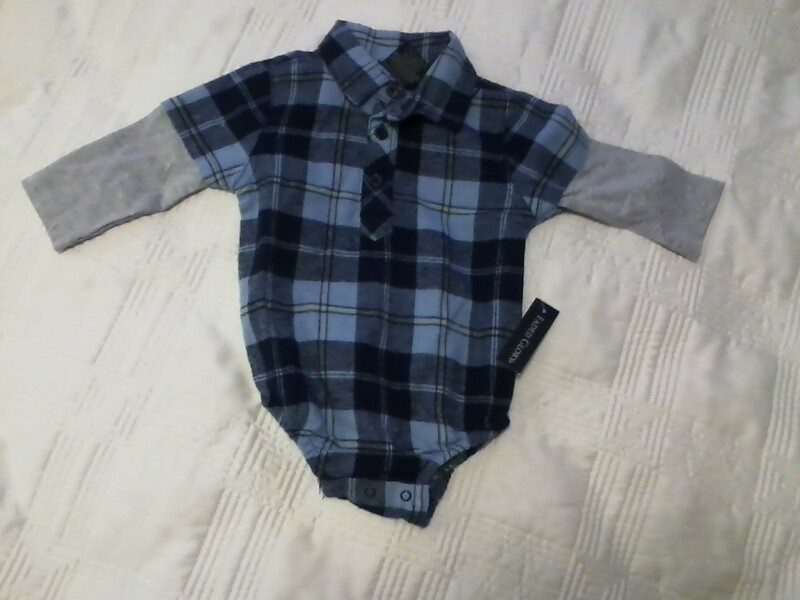 My old college roommate and bestie sent me a card with words of encouragement as well as this special flannel onsie for Josiah. She said that it reminded her of a “mini Daniel”, because if you know my hubby, he LOVES to wear his flannels and He would probably wear them everywhere if I allowed him. Seeing this cute flannel and imagining the two of them matching was enough to make me say “awe”, cry happy tears, smile, and get excited for better days; it jolted a shot of life back into my spirit. It’s the simple gifts, gestures, cards, and kind words that can make this journey a little more bearable and keep the hope alive within my heart. Especially as the wait gets longer and the time drags on at an agonizing snail pace. Throughout this tough journey, I have learned that so much good can come from a simple $3 card, and I have always been taught that the greatest blessing is to be a blessing. Therefore, no matter your situation, or even if you don’t currently have a “situation”, but would like the mailman to deliver unexpected cards filled with prayers, hope, and love–email me at 10hopeingod@gmail.com or comment below your address. I would love to send you something that could put a smile on your face or give you hope to carry on. Also, feel free to “reblog” this in case there is someone in your friend circle that could use some encouraging cards in the mail as well. P.S. I promise to not stalk you, egg you, tp your house, peek in your windows, or send you poisonous chemicals 🙂 I will also not share information with others. That would just be creepy. What a sweet friend! That onesie is adorable. And I’m the same way about mail. It hurts my feelings when my husband gets it instead of letting me. Lol! A couple of years ago the hubs and I had to live in a camper in my parents yard while we waited on a rent house that my grandma owned to become available. I would literally try to beat my mom to the end of the driveway to get the mail…most, if not all was her mail anyway!!! LOL!!! How very sweet. I agree that snail mail is pretty dang exciting. There’s nothing like a full envelope with your name on it waiting for you to open. What a sweet friend! I know right?! I was so excited to see a package sticking up out of my mailbox and even more excited when I ripped it open. yay!!! awesome!! 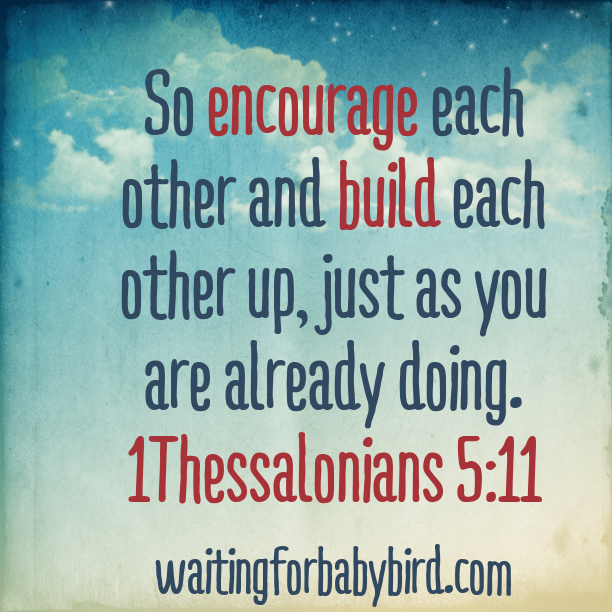 That is so sweet of your friend and God loves this kind of faith that your friend has. I can’t wait to start sending ya some goodies! So sweet Elisha!!! I LOVE this!! And, always love my snail mail from you!!! Love you! love you too!!!! Snail mail is supa fun! yay!! I can’t wait to send you stuff!!! I love snail mail- there is nothing better than receiving a handwritten message from a friend when you least expect it! Great idea! I will share this for sure! I totally agree!!! It’s crazy how something so small can have so much significance to your day. Baby’s first package! So great! I have a special place in my heart for mailmen. My dad is a mail man! It is so special to get mail! When my husband was in training, we were only able to communicate via letters, so I have about 5 months of letters from him and they are some of my most treasured items:-) I think if our house caught on fire, I would grab my letters first! I LOVE getting mail… This post is so thoughtful, and I think what you are doing is wonderful. The simplest card, addressed to you, can make your entire week better… I love this idea!